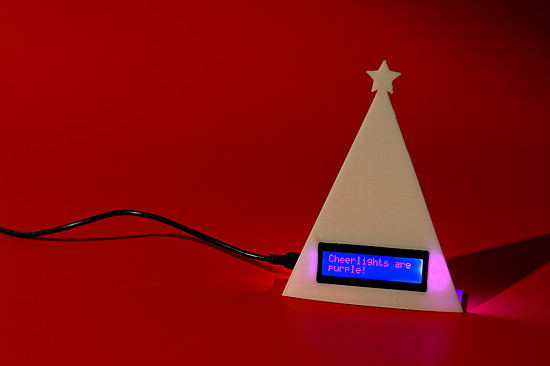 In 2011 I built a CheerLight, so for 2012 I decided I needed to do something a little different, so the CheerLCD was born! 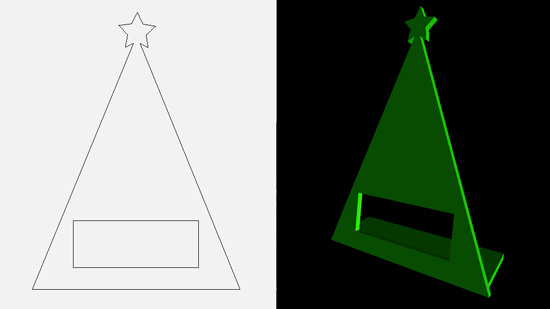 I got pretty immersed in 3D printing in 2012 (after finishing my RepRap) so I sketched out a Christmas tree shape and printed it so I could mount one of Adafruit’s USB + Serial Backpack Kit and LCD Displays in it. 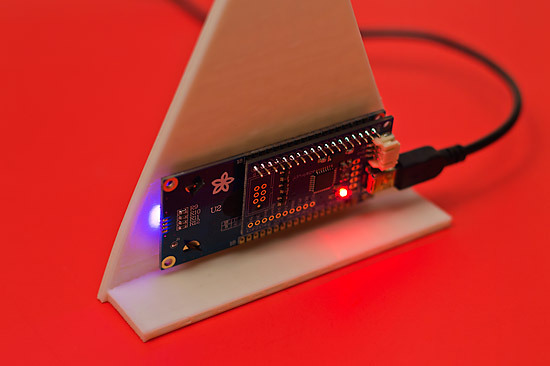 Once I had that done the code was pretty simple, consisting of a Perl script to grab the current CheerLights color, and then send it to the LCD. 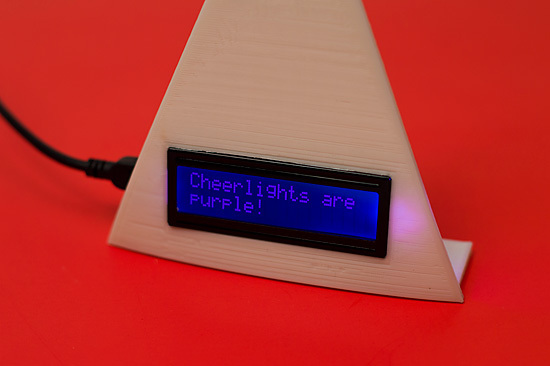 The CheerLCD was also mentioned on the CheerLights site and the Adafruit Blog, and there’s a video on Vimeo.